This year has seen some gorgeous limited edition pens in release. Not only did Montblanc release a new Writers Edition pen, the Jonathan Swift, Delta has continued its Indigenous People collection with the Hawaii Limited Edition. Created from a resin that reflects the beautiful colors of the islands, the Hawaii is covered in an alloyed bronze and capped with tribal detailing. Aside from its beauty, the Hawaii presents us with an interesting case. Delta released the pen as two separate editions: the regular Limited Edition Hawaii is Rhodium-trimmed with a run of 1898 fountain pens and 1898 ballpoint pens; and a Special Limited Edition that is gold trimmed and limited to 898 fountain pens only. To a new pen collector, these terms seem highly specialized. What’s the difference between a limited edition and a special limited edition? What’s the attraction of buying a pen that’s priced in the thousand dollar range and above? Before we dig into the “whys” of limited editions, first I’d like to address the specialized terms of limited edition pens. There are four kinds of pens made in limited quantities. They are Limited Edition pens, Special Edition pens, Special Occasion pens, and artisan pens. A limited edition pen is a pen that is produced in a limited number. 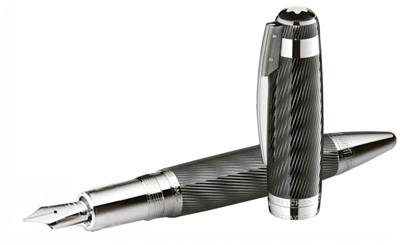 Limited editions may be as low as 25 pens, or as high as 17,000. The pen’s number is often engraved on the pen. The higher the number of the edition, the lower the initial price of the pen will be. 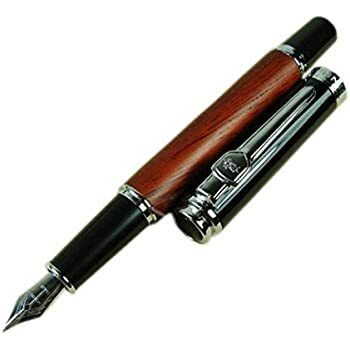 For example, The Montblanc Writers Edition series has had production runs of 14,000 to 17,000. Limited editions that have very low run numbers, in the hundreds or below, usually have high initial prices and sell out quickly. A special edition pen is a pen that is only manufactured for a short period of time. Special edition pens are not announced with a specific numbered run; instead, they are manufactured while there is demand, and after a short while the pen is discontinued. Depending on the length of time a special edition pen is manufactured, they can be more or less rare than limited edition pens. A rule of thumb is that a special edition pen is usually less rare than a numbered limited edition pen, and a special edition takes longer to become valuable to the collectors’ market. An example of a special edition pen is the Lamy Safari Lime Green collection. A special occasion pen is a pen that is created for an anniversary or another significant event. Some pens are made in very limited quantities for occasions like treaty-signing, where only a handful of pens might exist. An example of a special occasion pen is the Joint Understanding—a pair of pens made by Parker for President Bush and President Yeltsin the signing of an arms reduction treaty in 1992. Another type of special occasion pen is those that commemorate the year. The David Oscarson Water Dragon, with a run of 88 pens per color, is a special occasion pen that was produced to commemorate the year 2012. Artisan pens may be the rarest of the limited quantity pens. Artisinal pens are handcrafted by the artist, making each pen completely unique. Michel Audiard hand-crafts each pen sculpture—his carved creations are more art than writing instrument. Artisanal pens are often hard to buy, and it may be necessary to get in touch with the art themselves or a dealer that specializes in artisanal pens. Limited Edition pens boast some of the most stunning designs in the pen world. Because Limited editions are short-run pens, pen makers go all-out for a single design, using rare materials, intricate production methods, and breathtaking complexity to craft a single edition. It’s no wonder that pen collectors around the globe usually buy limited editions for their style, their concept, and their price-worthiness. For most pen collectors (even if they’ve never bought one), they can remember seeing a particular limited edition pen for the first time, and having its distinctive style pull them from across the room. For me it was the Krone K-Class in Flambe—its resin sparkled under the lights and looked like a piece of jewelry for writers. The K-Class was limited to 888 pieces per finish color. The pen was not cheap, and as a barely-scrapping buy college student, I couldn’t afford to buy one at the time. Thankfully, Krone is one of the lesser-known fountain pen brands. Six years later, despite its low production run, the K-class is still for sale and still as magnificent as ever. Most limited edition pens have a story attached to them—a concept behind their creation. The MacKinnon Honeycomb is a testament to the power of organic and technological design. The gold lattice pattern over a yellow resin barrel is a recreation of the translucent effect of natural honeycomb. The pen’s concept is a celebration of nature and the pen artisan. The Montblanc Great Characters Alfred Hitchcock is a black-and-white hatched pen that is an homage to his black and white filmmaking. Part of the attraction that a good design has is that it is more than just a beautiful piece—it also has specialized, and personal meaning to the pen owner. And this is the trickiest category: if the limited edition is actually worth the price. What makes a pen “worth the price” to varies by the collector’s intent. Is the pen going to sit on a desk in a stand to look like an objet d’art? Is it going to be used to sign documents? Is the collector planning to resell the pen to make a profit, like many art collectors do? Only the collector can answer what makes a thousand-plus dollar pen worth the money to them. I can offer some helpful tips in the next section that may clarify your opinions if you are preparing to buy a limited edition pen. When paying limited edition prices for a pen, makes sure that the pen is in fact a limited edition (and not just a special edition). A limited edition pen will clearly state its numbered run, and will come with paperwork from the manufacturer that verifies that it is genuine. If you want to use the pen for writing, be sure that the pen will be comfortable in your hand. Many limited edition pens are designed like sculpture, and won’t actually be comfortable to write with. If you plan to display the pen, go the distance and buy a pen stand that will complement its form. If you have plans to purchase a limited edition pen to auction it later, be very sure of the market that you are buying into. Purchase a fountain pen (ballpoint pens do not resell as well) that is manufactured in a sufficiently small number that the pen will sell out and become more valuable in five to ten years. My example of the K-Class shows that even excellent-reputation brands like Krone can have limited edition pens that are still on the retail market in six years. Above all, make sure the pen is well-protected. The limited edition should remain in mint condition and with its paperwork, or it will depreciate in value. Most importantly, make sure the pen speaks to you in some way. Limited Edition pens are all-out style. Like any style that’s never tested the waters before, you can never be certain if a pen will catch fire or not. But at least you can be sure of a pen that catches hold of your imagination. A pen with the power to drag your nose to the glass, and make you think about it for days afterward, is a pen that’s certainly worth having. The Westminster Dog Show was earlier this month and as with most years, it was quite the show. Hundreds of different dogs all came together to compete for group title and best of the show. It’s a pretty spectacular event, but one that is hard to translate to outsiders. Unlike a sporting event that has set rules and fairly straightforward gameplay (except perhaps curling – I still don’t know what those folks are up to), not everyone understands what is going on at Westminster. To most, each dog looks like the other dogs of their breed. So what’s the fuss? 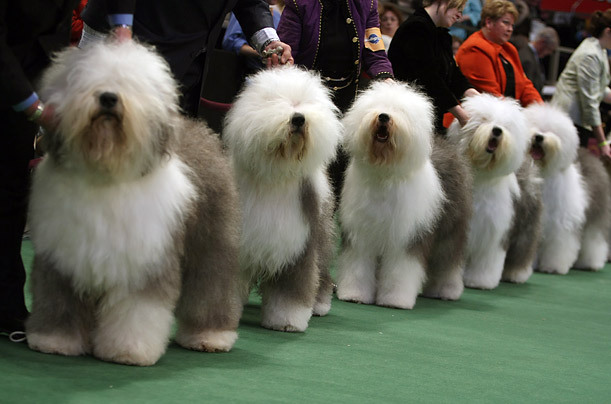 J udges of the Westminster Dog Show look for standards that are determined by each parent club for each breed. These standards are the basis for all judging and sum up the features that make a certain breed ‘the best’. Standards include the form and shape of a dog like height, weight, coat, colors, eye color and shape, ear shape and placement, feet, tail as well as others. These standards are sometimes specific and other times are general, but they are always the guide that determines what the breed should look like and act like. There are seven breed categories that all dogs fall into; sporting, hound, working, terrier, toy, non-sporting, and hunting. Each of these categories has their own standards and their own fans that love the look and demeanor of their breed. As a tribute to the Westminster Dog Show, we are matching up seven pens to the seven breeds, picking those pens that most represent the breed in question. The judging, although not as official as that at Westminster, is based on the qualities and traits of the pen in relation to the breed in question. Enjoy. Sporting dogs were bred to hunt birds and small game. This breed includes pointers, retrievers, setters, and spaniels. These dogs are endowed with a lot of energy and require lots of exercise and outside time. The Waterford brand of pens fits this high-energy, dedicated format perfectly. Of their many styles, Waterford pens exhibit sleek barrels and a workman-like attitude to get down to business. The Claria line, in particular, is a shoe-in for sporting dog lovers. From the Whippet to the Afghan, hounds are the trackers of the dog world, with many possessing the innate ability to track faint scents long distances. Regardless of the prey, the hound breed is eager to chase and corner wild game –and sometimes people – regardless of where they roam. This breed exhibits a stoic, yet playful personality and a zeal for getting the job done. Cross has a variety of pens that sum up this breed nicely. For the low to the ground, yet determined Basset Hound, Cross has the C-Series, with its odd, yet honest shape. For the quick to run of the breed, Cross makes the Tech 3, with a streamlined barrel that makes it fast, true and on course. Check out all the Cross Pens to find more hound-ish pens. Dogs in the Working Group are bred to perform jobs like guarding property, pulling sleds and performing water rescues. These are the dogs that truly are man’s best friend – helping out with the daily chores and being an asset to the job at hand. These dogs include the Doberman Pinscher, Siberian Husky, and the Great Dane, to name a few. These dogs are extremely intelligent and come in a lot of different shapes and styles. Delta pens do a good job of meeting this high standard. Smart, easy to work with and available in an array of shapes and sizes. Delta pens have a long standing tradition of being able to write until the ink runs dry – making them the workhorse of the writing instrument arena. In the terrier breed, it’s all about personality. Terriers are feisty and full of energy. Regardless of their size, they demand attention, while at the same time bringing a joyful energy to any room. This breed includes the Airedale, the West Highland White Terrier, and Bull Terrier as part of this large breeds catalog. To sum up this serious, devoted yet playful attitude you need to look to Faber Castell pens. Faber-Castell has been creating serious and fun pens for ages. Each line and style of this brand is a pen that means business, but each with its own flair and personality. If you find that you are a terrier kind of person – make sure you check out Faber Castell and their large line of pens. The toy breed includes the Affenpinscher and the Maltese as well as all the breeds that have a toy in their name. These devoted dogs are about being companions. Much more than lap dogs, these fury miniatures bring the fun pound for pound. Much more playful and energetic than their larger cousins, the toy breed is all about fun and games. With that in mind, Acme takes the prize for being most like the toy breed. Acme makes pens that are made for fun. Every pen in their line has a style that was made for lighthearted commemoration and good times. Take a look and see for yourself. The non-sporting breeds are a very diverse group – much more so than any of the other breeds. This breed group includes the Chow Chow, the Dalmatian, and the French Bulldog. They all have different kinds of coats, personalities and each comes in a different size. This group is comprised of all the breeds that don’t fit into the other categories. Caran dAche is the perfect line of pens that best represents this diverse group. Caran dAche has been making non-standard pens for years, with exotically shaped barrels that stand out in a crowd. With its own unique take on what a pen should be, Caran dAche fits perfectly into the non-sporting breed. The herding breed is considered to be a breed that contains some of the most intelligent animals. These dogs are able to move animals in great numbers the direction that they choose. Small dogs like the low-set Corgi are able to move large herds of cows by jumping and nipping at their heels. These dogs are devoted and driven to perform a task, yet have a regal stature that sets them apart from other dogs. Mont Blanc pens best embody this breed. With years of patience and dedication, Mont Blanc has created a line of pens that distinguish themselves from the rest of the pack, while never losing focus on what is important; creating pens that feel great in the hand and put ink on paper with ease. With so many wonderful pens to choose from in Mont Blanc’s line, you can’t go wrong. Take some time to look around at all these great pens in the Executive Essentials catalog and see which ‘breed’ you like best.